Is it the volcanic sands of Iceland, or the crystal clear lake waters in Canada? A road trip along historic Route 66, or a taking the path of discovery in Thailand and beyond. Keep your travel plans and memories in one of our custom bucket list travel journals and notebooks. 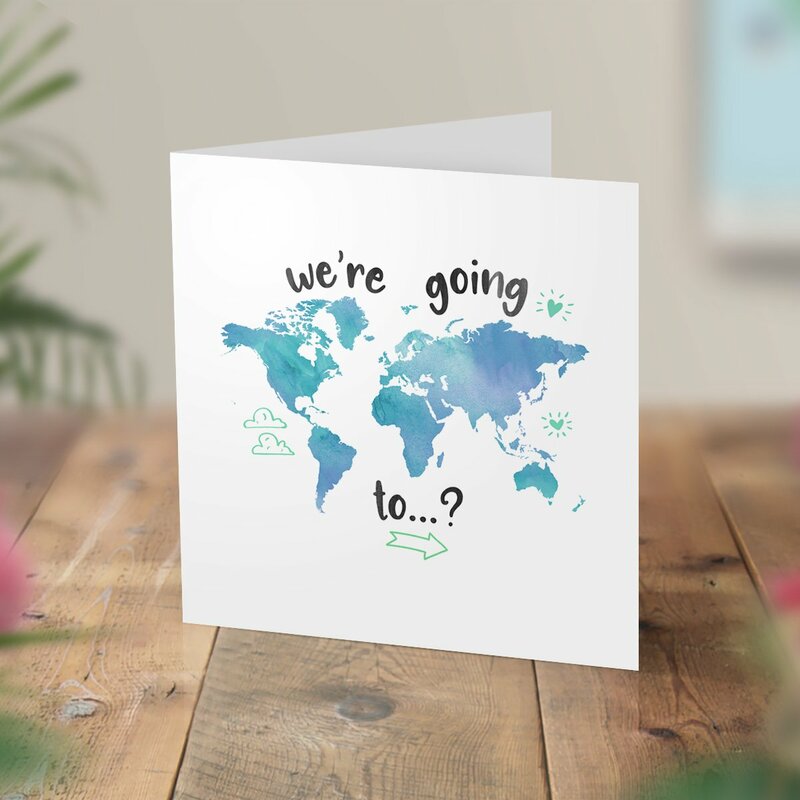 Perfect for travel loving couples! 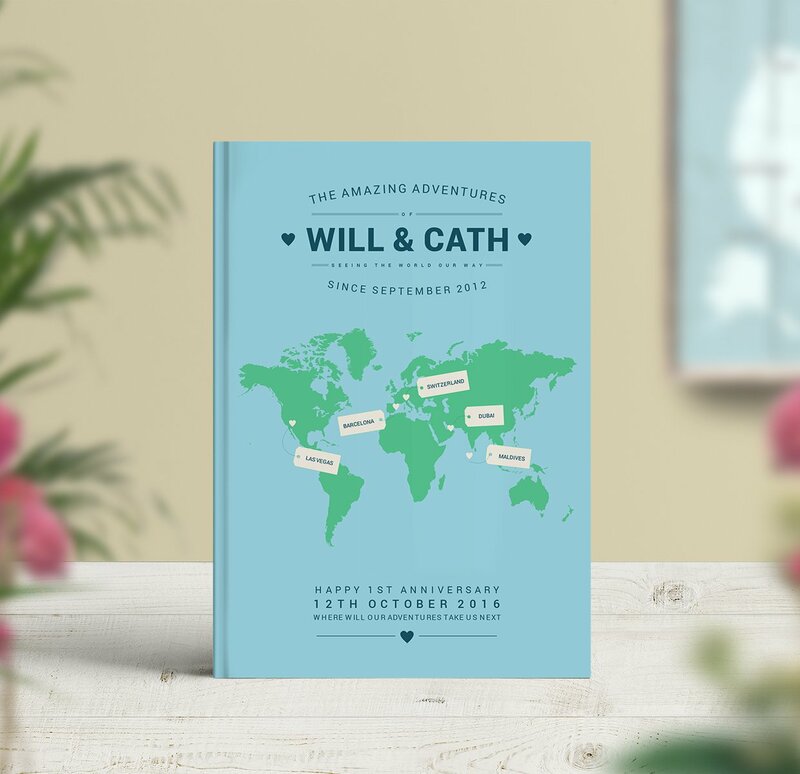 Keep all your wedding memories in our travel themed wedding guestbooks. 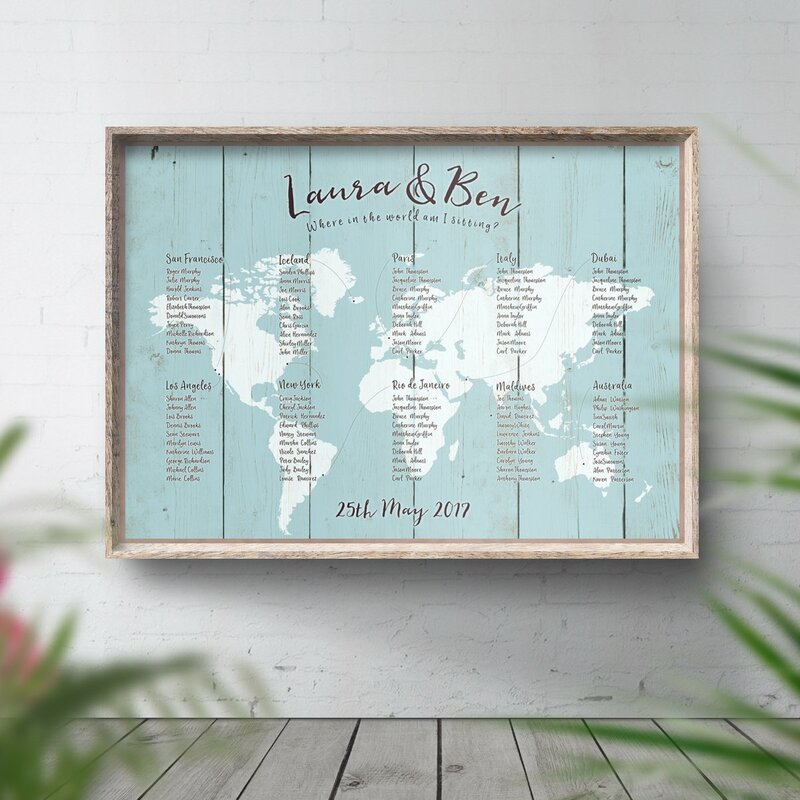 Our rustic travel themed table names and table plans are ideal for those having a rustic or travel wedding. 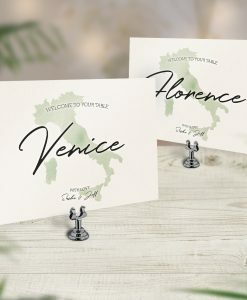 Choose from place cards, table names guestbooks and more. 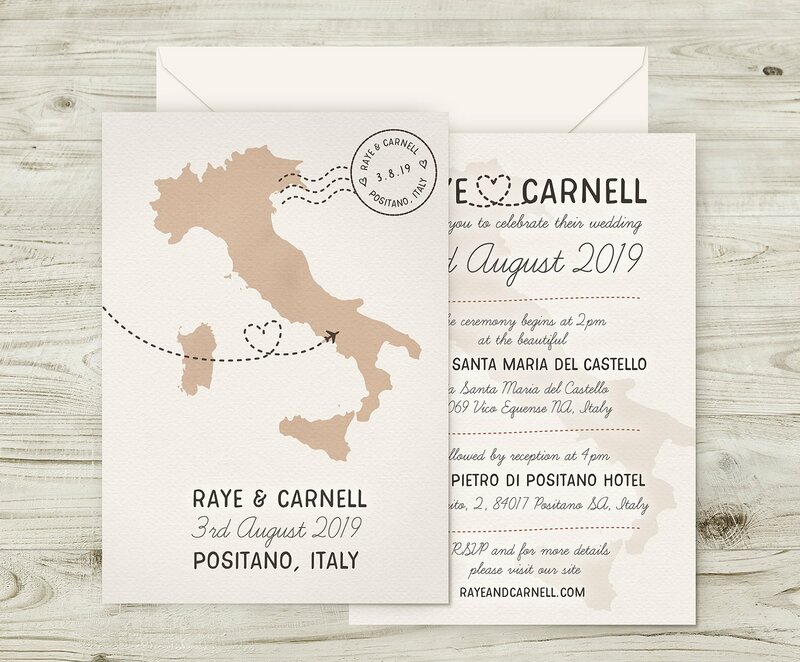 Our travel themed wedding stationery are perfect for the wanderlust couple. 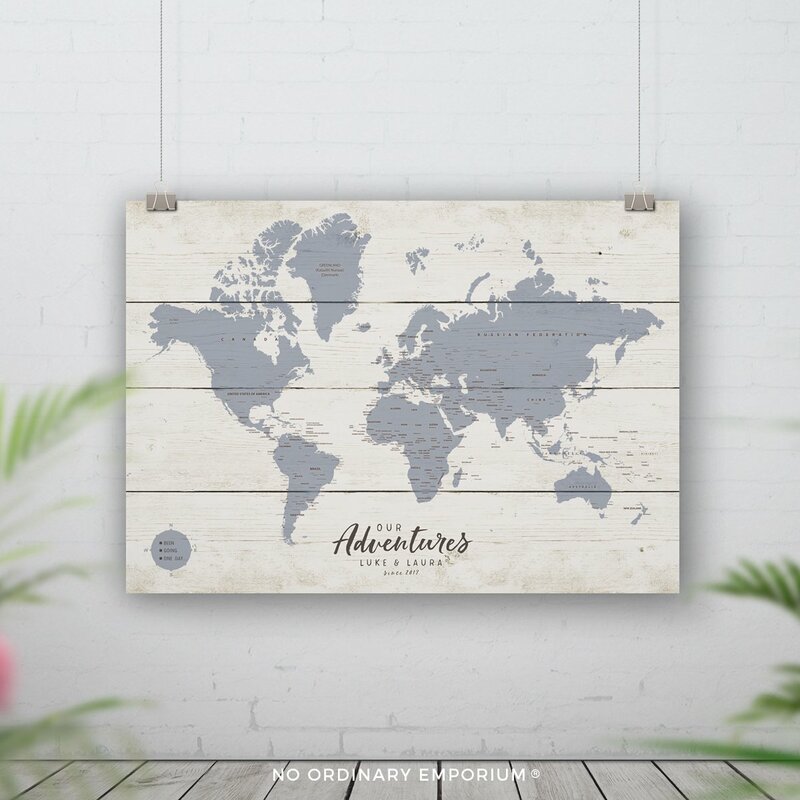 Perfect gift for travel lovers. 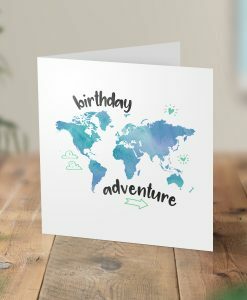 Every map that we make is unique to your travels. Show all the places you’ve been, include your favourite travel memories and reminisce about your adventures. 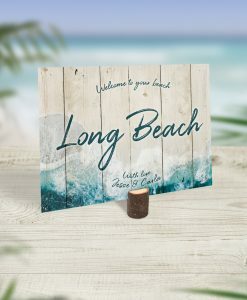 Choose from books that are custom made or ready to ship. They’re great for keeping your travel plans and things you want to do while you’re away. Perfect as a travel bucket list too! 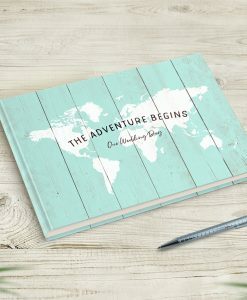 A full range featuring travel themed weddings, rustic weddings, elegant, modern and classic weddings. All designs can be customised to suit your wedding colour scheme. 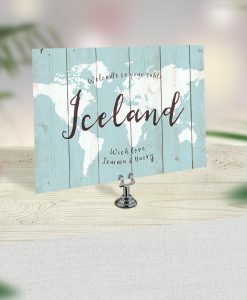 Perfect gift for the travel lover. Each map is custom made, so every map we make is unique to your travels. Show all the places you’ve been, include your favourite travel memories and reminisce about your adventures. 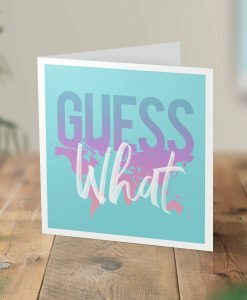 Surprise that special someone with our scratch and reveal cards. 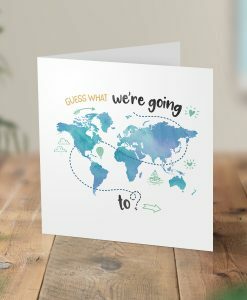 Perfect for the travel loving couple. 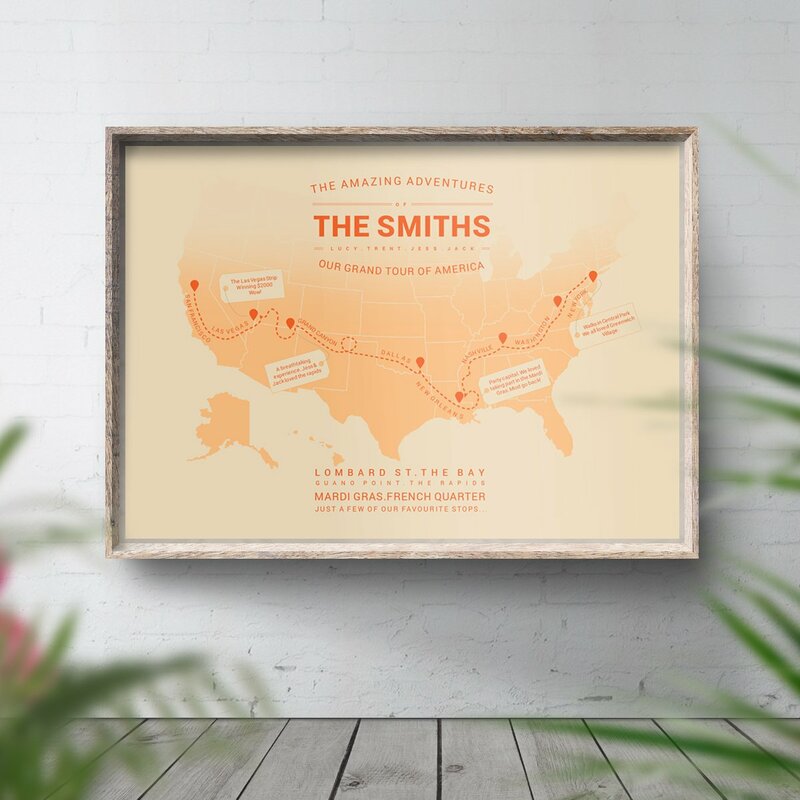 Subscribe to our newsletter to receive a 5% discount to use on your first order, plus get a free digital travel poster download.